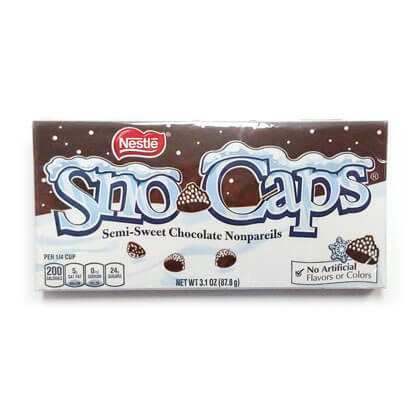 Sno-Caps in 3.1 oz theater box. Bite size semi-sweet chocolate topped with white sprinkles. Also called mini nonpareils.